Recently I stalked the very talented fashion designer Milusha, who specialises in fur coats. 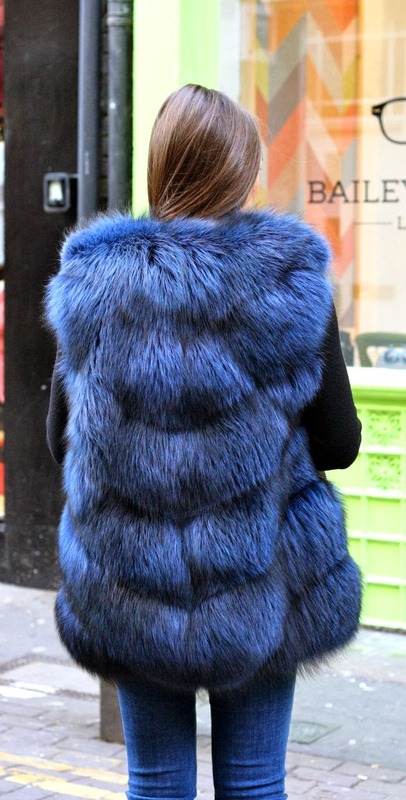 She is at the forefront of luxury fashion, taking a very traditional medium and transforming it into a contemporary garment, for example, how amazing are the blue furs! My label MILUSHA seeks to achieve the perfect balance between exquisite design and wearability. MILUSHA offers the discerning woman a glamorous range of beautifully crafted coats, jackets, scarfs and fur collars. Alongside our mainline collections, we also offer an exclusive 'made to measure' service, where clients can create their perfect piece. When a client says that a MILUSHA garment is one her favourite wardrobe staples, it makes me unbelievably happy and it is by far the best part of my job! When the client is happy it makes me very happy too. As with most designers, I draw inspiration from all aspects of my everyday life. My boyfriend and I love to go to art galleries and I get so much inspiration from the colour and texture of the paintings I see. In our gallery outings, we always go with a view to cover a particular period, for example, a couple of weeks ago, we went to an exhibition of 12th-13th century art, which gave me so many ideas. I am also inspired by trees. When you look at them long time you can find so many forms and lines. One of my favourite park is Virginia Water, we frequently drive there for long walks. One of my favourite places to shop is Harrods; it’s a one stop shop of just about anything you could want, stocking a vast number of brands and price points. Another favourite is The Box Boutique. Its owners Elena and Yulia are amazing buyers and they have the most unusual shoes, jewellery and clothing. My journal! As a designer, I find it essential to jot down creative ideas straight away and there’s no better way of doing this than putting pen to paper. I always have a journal and pen in my bag as I can suddenly have a moment of inspiration at anytime, anywhere so it’s important to be prepared! My mobile phone; as with most people, I’m surgically attached to it. My entire family and a lot of my friends live abroad so I miss them a lot. We’re very close knit family so I find it very hard it I don’t speak to them every day. Thankfully my boyfriend is London-based, which makes life a lot easier. So I guess I definitely couldn’t live without my loved ones either! hi! 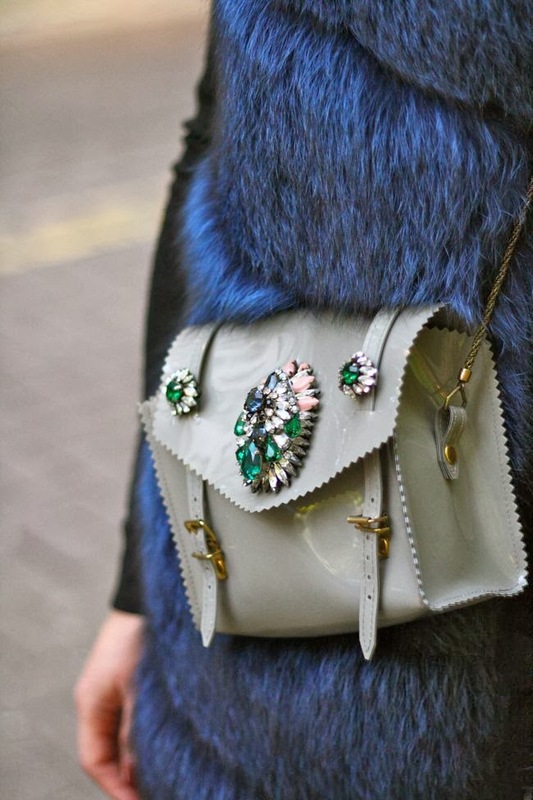 beautiful vest and bag!! great post!!! thanks for comment my blog ! i´m following you now, can you follow me back? thanks!